Google recently rolled out its latest algorithm update, and as is usually the case when these types of updates are introduced, website owners and SEOs everywhere are scrambling to find out how it affects them and what they can do to correct the situation. Let’s take a closer look at what the update entails exactly and who will be the most affected by the recent changes. 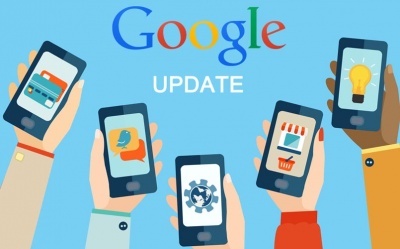 Google did confirm that they released a “broad core algorithm update” and that these types of updates are performed multiple times per year. They also made it a point to specify that there was no way to fix these changes and that the only way to correct the situation was to focus on releasing good content. But SEOs are taking these comments with a grain of salt and as more data will be released on which sites were affected, we can expect SEOs to start identifying patterns that lead to certain sites being penalised and guidelines for website owners on how to optimise their sites accordingly. However, there are some things that did set this update apart from previous ones. For one, they did specify that it was a global update that affected all search results, no matter which language they are in. They are also refusing to release the exact percentage of queries that are being targeted like they did when they unrolled Penguin, Panda, and other algorithm changes. While Google tried to make it seem like no niche in particular was affected and that all searches were targeted equally, multiple data companies, SEOs, and surveys have already started to identify certain sites that were more affected than others. The type of sites that seem to have been the most heavily targeted by the recent updates seem to be “Your Money Your Life” (YMYL) sites and health sites. According to Systrix, YMYL sites in particular have taken the hardest hit in rankings. However, they also said that the impact wasn’t significant across the board and that various other categories, such as educational, ecommerce, or even certain automotive sites were affected as well. YMYL sites are sites that revolve mainly around life events and money. According to Google, YMYL sites are sites that may solicit personal information that could be used for identity theft and pages that are used for transactions. Sites that provide health or medical information, parenting advice, or other major life decisions, or pages that provide financial, legal or any advice that could affect your finances or future happiness qualify as “Your Money your Life” sites as well. Well, according to Google, there isn’t much we can do for the moment until we get more information on the update. But using best practices always pays in the long run and focusing on better user experience, improving your website, and constantly releasing better content are sure-fire ways to eventually fall back into Google’s good graces. We also learned that many of the sites that were negatively affected had trouble establishing their E-A-T, or expertise, authority and trust. This eventually means that sites that provide low quality advice that doesn’t come from a place of authority and aren’t trustworthy will slowly become obsolete. While this recent algorithm change is similar to its predecessors in many ways, the secrecy in which it is shrouded still seems unusual. However, many indicators seem to point towards rewarding trustworthy sites that provide their users with the best user experience and expertise.